ModernfoldStyles, Inc. is recognized within the industry as the leader in flexible and innovative Space Management Design Solutions providing glass wall systems and operable partitions for commercial and residential projects. We are a professional resource for architects, general contractors, interior designers, and clients contributing to the success of more than 1,600 projects annually in the New York, New Jersey, and greater Philadelphia area. We partner with you to provide custom space management design solutions — even in the most challenging architectural space. We install glass wall systems and operable partitions for industrial, commercial and residential applications. End-to-end project management to provide exceptional quality and service from installation to completion and training. Our full-time service and maintenance technicians are committed to protecting your glass wall and operable partition investment. Shortlisted for NYCCA 2019 Supplier of the Year! We are extremely proud to be shortlisted for the 2019 NYC Construction Award for “Supplier of the Year!” We were informed that the quality of entries was exceptionally high this year, and given a big congratulations for making the cut. The winner will be announced at the 2019 New York City Build Expo at the Javits Center on March 12th during the NYC Construction Award Ceremony. 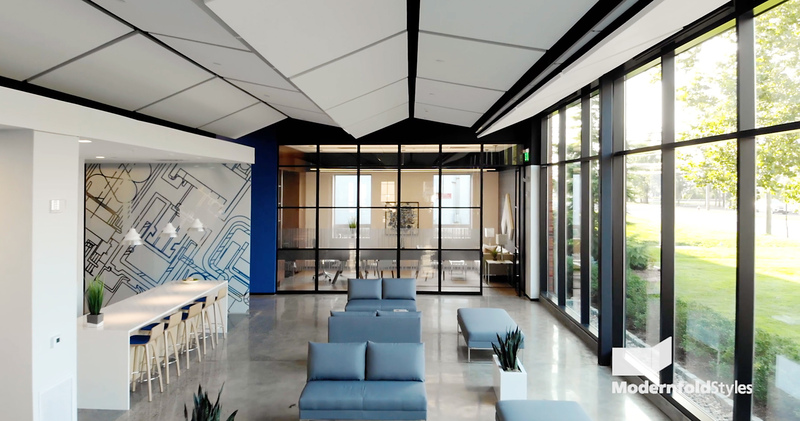 Partially shot in our Showroom, FOX Business News featured our Modernfold and Skyfold customized movable, retractable walls which aired on “Inside the Blueprint – Architectural Innovation” series. What sets us apart is our commitment to providing end-to-end solutions and best-in-class customer service becoming your single-source Space Management Design Solutions partner. Our wide selection of glass wall systems and operable partitions provide you the flexibility and customization needed for your architectural space whether acoustics is a priority or a seamless sightline or design uniformity…all in support of the U.S. Green Building Council (USGBC) policies that promote sustainability-focused practices in the building and construction industry. ModernfoldStyles has continuously maintained a dedicated sales and marketing department, CAD designers, in-house installation, project management, service and maintenance programs, safety and training, and AIA continuing education programs. We also handle bonding, insurance, letters of credit, warranty and contract responsibility for our customers. We are not only committed to partnering with you to develop innovative space management design solutions for your architectural projects, but we also ensure each phase of the project is managed with the highest levels of personalization and customer satisfaction.